Thumbnails are small images that can be compared to the book covers for the online videos. 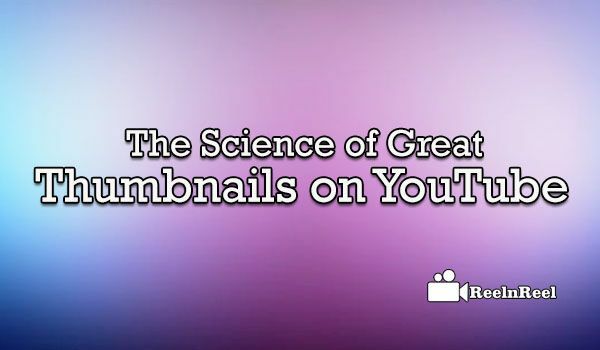 Thumbnails are very important as viewers decide whether to watch the video or not based on how interesting the thumbnail is. A good thumbnail should give the preview of what the video. The viewer must get an idea of what he can expect from the video. When videos uploaded to YouTube, there are three choices of thumbnails which are given by YouTube, the images randomly taken from the video. Since these randomly selected from the video, these can be blurry and these may not show what is there in the video. However, custom thumbnails can be added to the YouTube video. Adding custom thumbnail benefits you for brand awareness and marketing. YouTube Thumbnail Resolution should be 1280×720 (with a minimum width of 640 pixels). YouTube Thumbnail Should follow Community Guidelines. What is the goal of thumbnails? Thumbnails are used to get the audience and these should portray what the content is in the video. These make the audience interested in the video and may make them click the video. Using attractive thumbnails is one way to engage the audience. Create custom thumbnails can be the close-ups of faces that make eye contact with the audience. Thumbnails should be bright, and it is better if you do not use any text on thumbnails. Thumbnails must not be confusing but easily understandable. Let the thumbnails of all your YouTube videos have general colour, font, and look. It helps the audience know that these are your videos.